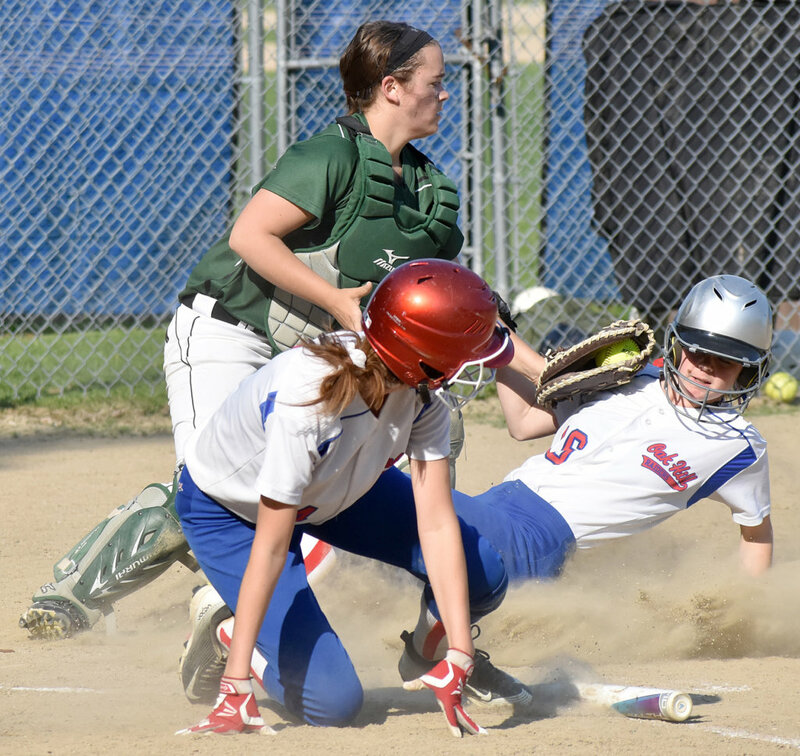 WALES — Ever since a midseason loss to Madison, the Oak Hill softball team has been on a mission to get the hits and runs that eluded the Raiders during that low-scoring defeat. Wednesday’s game against Spruce Mountain was another example that the Raiders are well on their way to accomplishing their objective before another meeting with Madison. 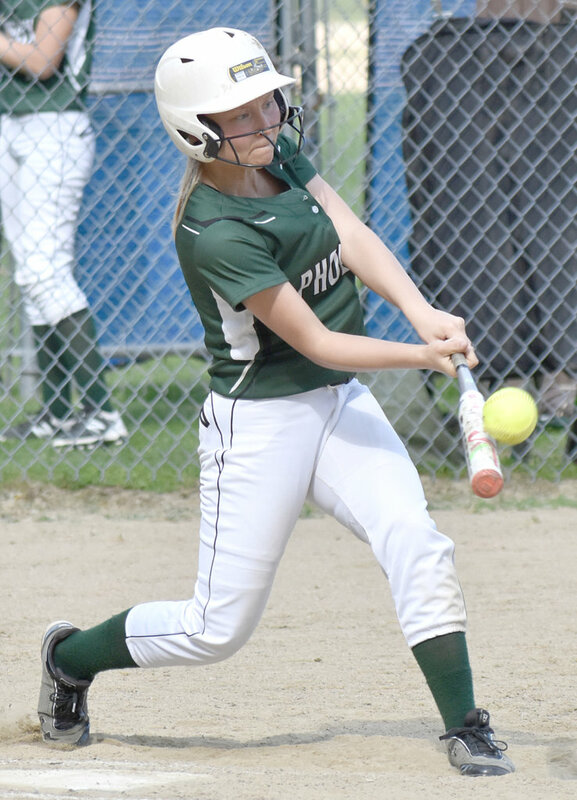 Oak Hill pounded out 13 runs on 12 hits to finish off the Phoenix 13-0 in five innings in MVC Class B South softball action. The top of the lineup started the Raiders’ (12-2) offense in the bottom of the first inning. Sadie Waterman and Mahala Smith both singled past a drawn-in Phoenix (8-5) infield. 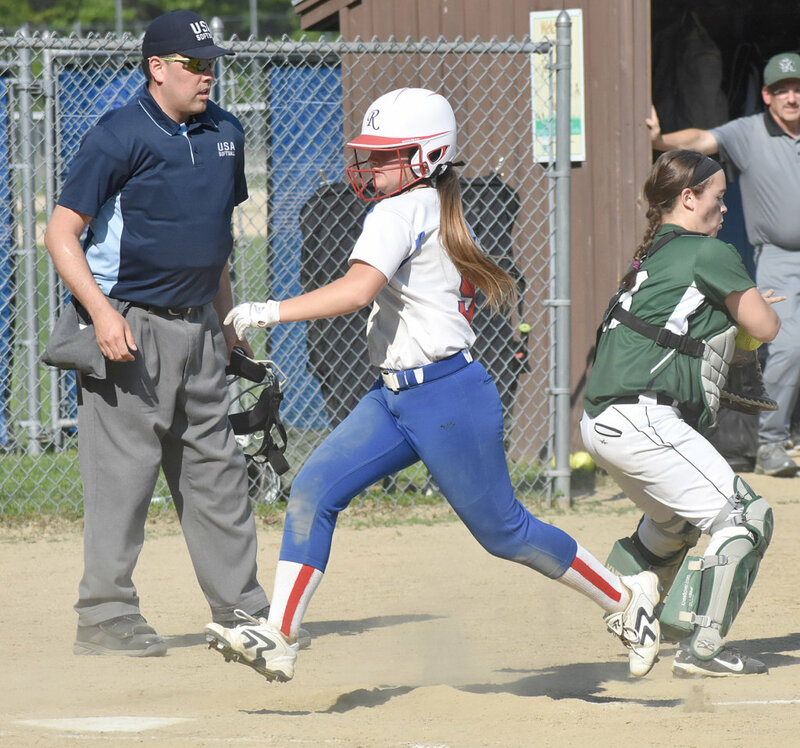 Then, after a wild pitch moved both runners into scoring position, Kiera Young drove in one run with a sacrifice bunt, and Molly Flaherty doubled in another run two batters later. The No. 9 batter (Julia Noel) kept the bottom of the second inning alive with a two-out walk, which brought the top of the Oak Hill lineup back to the plate. 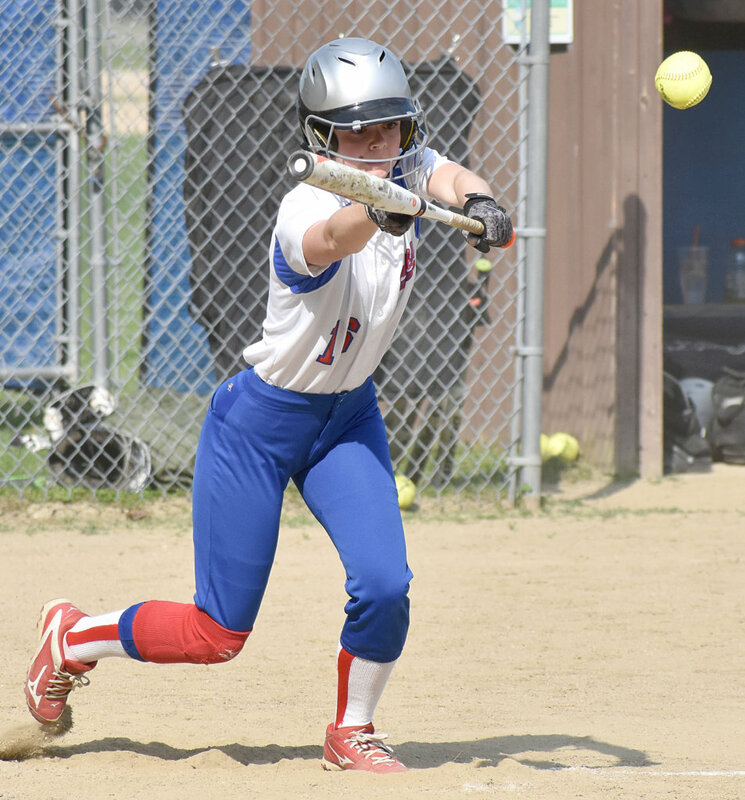 The Raiders’ top hitters kept their bats on their shoulders the second time around, drawing three more walks against Phoenix pitcher Hannah Turcotte. Smith reached on a failed fielder’s choice in the middle of the four free passes, which loaded the bases. Young’s and Abby Nadeau’s walks drove in runs, then a single by Flaherty brought home two more to put the Raiders up 6-0. The Phoenix also got their bats going in the first two innings, but couldn’t get a hit to bring home any runs. Two batters were left stranded in the first after a JuJu Doiron single and an error. Then singles by Morgan Dalton and Abby Ortiz and another error in the second also went to waste. 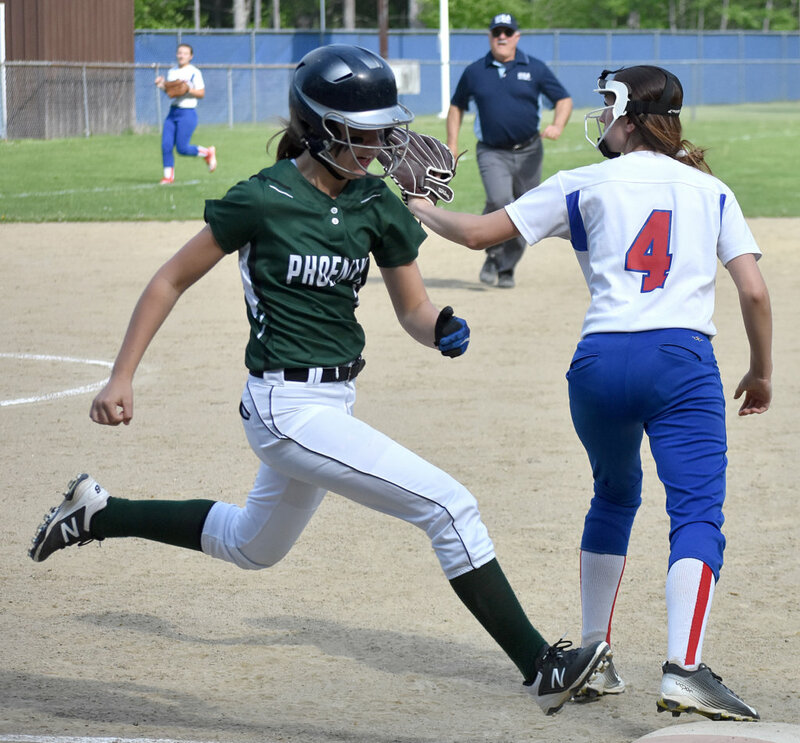 Nadeau was able to pick off Dalton at third from her catcher’s spot to prevent one potential run, and a groundout ended the frame with a pair of runners in scoring position. Phoenix coach Clint Brooks called the base-running mistake “discouraging” and “a real downer” for his team. Waterman was more stingy about allowing base runners in the next two innings. 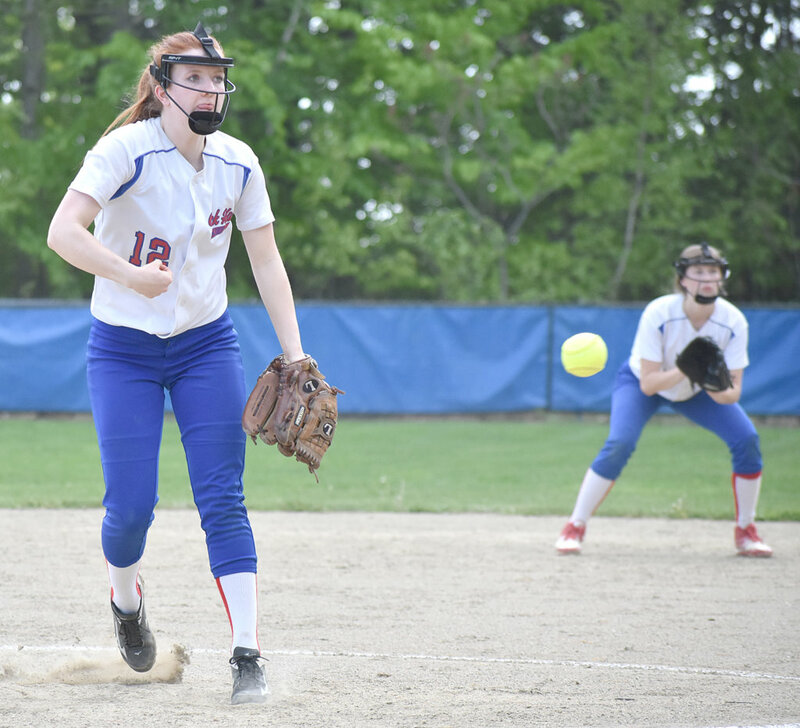 A single by Allison Acritelli to lead off the third was quickly negated by a Waterman-initiated double play, and then the junior right-hander retired the next four batters to finish up her four-inning outing. “Runs come hard against teams like Oak Hill,” Brooks said. The Raiders provided more insurance runs in the bottom of the fourth for Waterman and Flaherty, who took over on the mound in the fifth. Smith started things off with a walk, then Young, Nadeau and Flaherty all singled to combine for three runs. An error kept the base runners coming before Turcotte recorded her first out. Rylea Swan then singled in a run, and two batters later Waterman singled in another before Swan was tagged out at home by Acritelli to end the inning. That made it an 11-0 game, meaning the Raiders had to bat again after Flaherty stranded two Phoenix base runners in the fifth, including Grace Harmatys after her second hit of the game. Smith drew another walk to lead off another inning, and two batters later Nadeau singled to put runners at the corners. Flaherty’s double — her second of the game and fourth hit overall — drove in both runners to end the game via the mercy rule. The Raiders now turn the page to Madison again Friday, having scored at least six runs in all five games since that loss and 54 overall. “Getting hot at the right time, I guess,” Collins said. 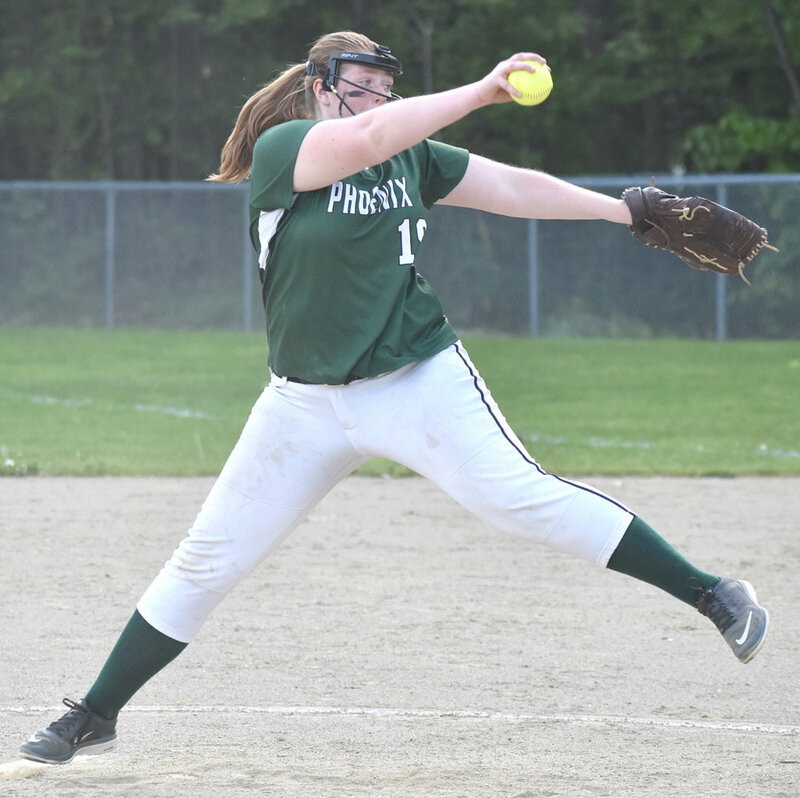 The Phoenix will play Madison on Monday, in Spruce Mountain’s senior game and home finale. Brooks called it a “big game,” and maybe a must-win to get into the playoffs.